Rexx Battery Company was started to do one thing: Sell quality car and truck batteries at the best prices possible. It is 57 years later and we are still delivering. We are proud to serve central Illinois our Weathercraft brand batteries. Weathercraft promises to be the best value in a reliable, five-year battery available. There is no need to get your tools out in a dark parking lot. Battery installation is free in most vehicles at all of our locations.. Our experienced technicians will have you in and out in no time for just the price of the battery. Fast and friendly service is guaranteed. 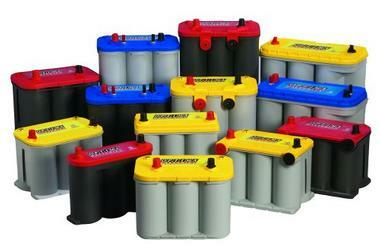 Rexx Battery stores offer a huge inventory of batteries that the competition can't beat. We guarentee we will have the right battery for your vehicle, for your needs, for the right price. Call, message or stop by anytime and our experienced staff will quickly identify and quote you an exact price for your vehicle. If you have a high end stereo, accessory package, plow or anything else that calls for the best: We have what you need. Optima AGM batteries offer high CCA and extreme durability they boast a three year free replacement warranty at a price less than our competitors.